Aviation Turbine fuel (ATF) is a colorless, combustible, straight-run petroleum distillate liquid. Its principal uses are as jet engine fuel. The most common jet fuel worldwide is a kerosene-based fuel classified as JET A-1.The governing specifications in India are IS 1571: 2001 (7th Rev). ATF is generally of a higher quality and often contains additives to reduce the risk of icing or explosion due to high temperature, among other properties. Specific energy is the important criterion in selecting an appropriate fuel to power an aircraft. Much of the weight of an aircraft goes into fuel storage to provide the range, and more weight means more fuel consumption. Aircraft have a high peak power and thus fuel demand during take-off and landing. 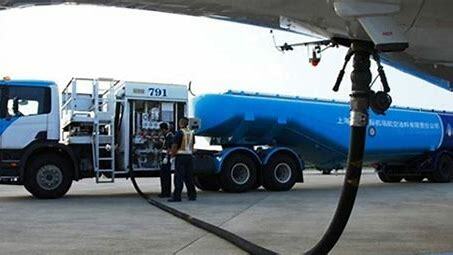 Aviation Turbine Fuel (ATF) is dispensed from specially designed refuellers, which are driven up to parked airplanes and helicopters. Major airports have hydrant refuelling systems that pump the fuel right up to the filling outlets on the tarmac through underground pipelines for faster refuelling. Essentially, ATF is pumped into an aircraft by two methods: Overwing and Underwing. Overwing fuelling is used on smaller planes, helicopters, and piston-engine aircraft and is similar to automobile fuelling – one or more fuel ports are opened and fuel is pumped in with a conventional pump. Underwing fuelling, also called single-point is used on larger aircraft.